Black leather top vintage bar stool. In nice condition. Canadian made, bought at La-Z-Boy, and never used. Wood an metal. 29" to seat. Paid $139 on sale. Swivels. 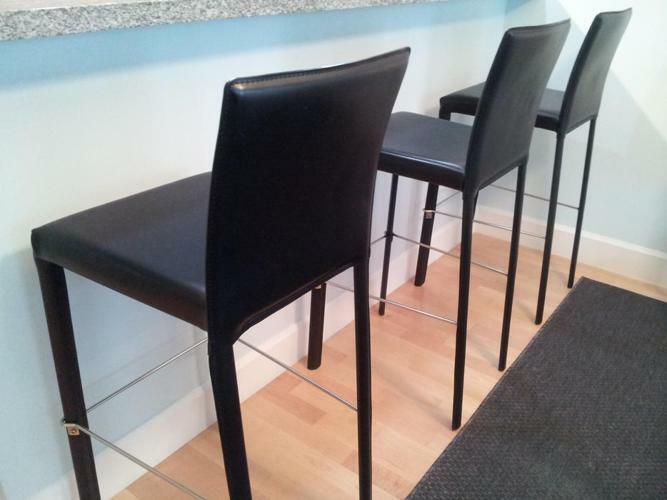 Heavy Duty Counter Height Stool...Brand New...Free Delivery!